Bali Arts Festival (PKB) 2017 will be held tomorrow, Saturday 10 June 2017, the event will be held for a full month until July 8, 2017. Bali Art Festival 2017 will be opened directly by President Joko Widodo (Jokowi) in front of the People's Struggle Monument Bali , Niti Mandala Renon, Denpasar. The plan of Mr. President Jokowi will release the cultural parade, if the president does not have the opportunity to release the parade during the day, then he will open PKB 2017 at the Ardha Candra Open Stage Cultural Park (Art Center) at night. The President will be accompanied by Tourism Minister Arief Yahya and several other government officials. PKB 2017 is one of the events that make the people of Bali to continue to try to innovate in all things, especially related to welcome domestic tourists and foreign tourists. That is why Bali Art Festival performances should always innovate so that tourists do not get bored with the arts and cultural performances during the parade. Deputy of Tourism Marketing Development of Nusantara, Esthy Reko Astuti, accompanied by Head of Cultural Tourism Division of Kemenpar Deputy of Personal Market Market of Kemenpar Wawan Gunawan invited all Indonesian people and international community to attend Bali Culture Parade 2017, which will take place in Renon Denpasar. Bali Arts Festival performance coincides with school holidays in Indonesia, and Bali is also very ready with access, amenitas and attractions. PKB is also very complete to have it. Access, Amenitas and Attractions or abbreviated to 3A are already owned by PKB 2017. PKB 2017 has many attractions and is very complete, such as Bali Art Festival Parade, Cultural Art Performance, Art Parade, Various Competitions, Cultural Photography Talks with Art Fusion Bali, Bali Arts Festival Semiloka and so on. In terms of accessibility, Bali can be achieved in two ways, by land or by flight. Many planes fly to Bali. Namely by way of choosing a flight destination to Ngurah Rai International Airport, Bali. Travel overland to Denpasar Cultural Park for about 1 hour drive, so it is very easy to go to Bali. Minister of Tourism, Arief Yahya, revealed, Bali's strength is in culture. The arrival of foreign tourists to Bali is largely due to cultural factors. 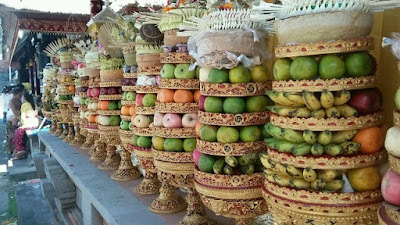 This Bali Arts Festival is an activity to maintain and preserve Balinese cultural assets. Therefore, PKB becomes a very strategic momentum in maintaining and preserving Balinese culture. The target of tourism development policy in 2017 is, national tourism marketing to bring as many foreign tourists as possible and encourage the increase of domestic tourists. The development of tourism destinations is to increase the attractiveness of tourist destinations so that they are competitive in the country and abroad. The development of the tourism industry is to increase the participation of local businesses in the national tourism industry and to increase the diversity and competitiveness of national tourism products or services in every tourism destination that is the focus of marketing. The development of Tourism Institution is to develop human resources of tourism and national tourism organization. So Bali has become a tourist destination that continues to be an example in the process of tourism development nationally in Indonesia.